With the holiday season coming our way, it's time to think holiday parties! With the new line of party invitations and greeting cards from Real Simple, it's easy to customize and order a perfect party paper for your next event. 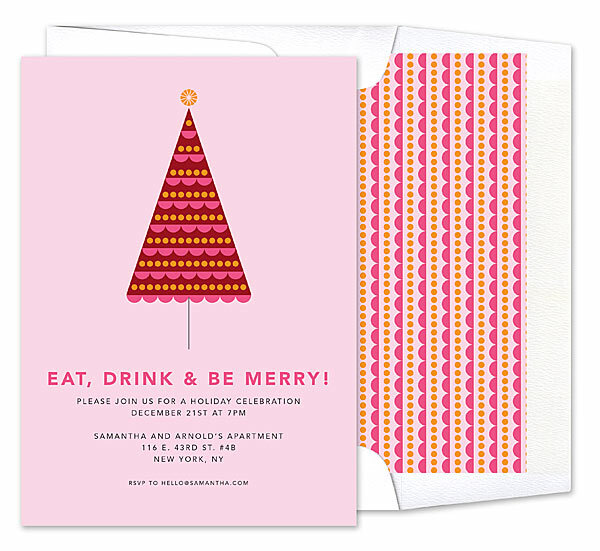 We used the Pink Tree Invitation from the Real Simple collection to give us inspiration for an entire holiday party. 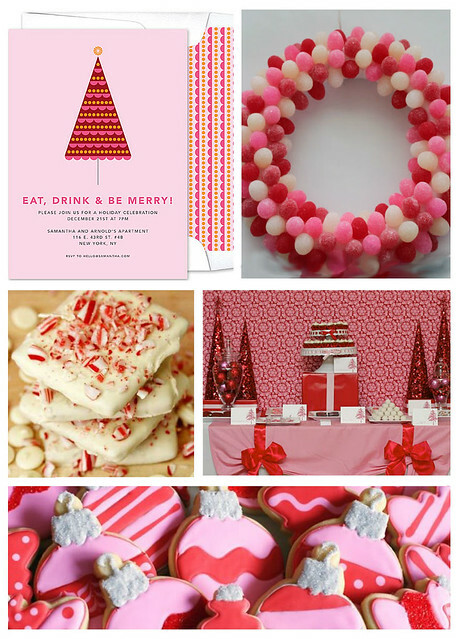 Using the pink and reds from the invitation, we decided to create a candy cane and gumdrops theme that you can easily duplicate in your home. Creating fun decor is easy, like this colorful Gumdrop Candy Wreath that can be displayed on a front door, or made miniature for the backs of dinning chairs. Since gumdrops are able to hold their shape, color, and texture well after leaving the packaging, you can create this DIY early in advance for the party, and display the wreath well after the event. A holiday party is not complete with out a few sweet treats! This recipe for Candy Cane Graham Cracker Bark from Celebrations.com is a perfect snack to match the holiday decor. It can also be packaged up and sent home with guests as party favors. Spread a little cookie magic with scrumptious sugar cookies on theme with the entire night. These delightful red and pink christmas cookies are a perfect match for the holiday theme and are easy to decorate. Are you planning a holiday party? What will your theme be?